This Saturday, September 29, in Kas, Turkey, the Italian freediver Alessia Zecchini has set a new world freediving record of the World Underwater Federation (CMAS) in the modality of constant weight with monofin, when descending -107 meters deep, in a time of 3 minutes 40 seconds. The World Record was registered during the first day of the International Competition “KAS BASKA” which takes place on the weekend of September 29 and 30 and serves as a competition prior to the 3rd CMAS World Championship of Apnea Outdoor that will be held in the same locality and whose tests will begin as of Tuesday, October 2. With this depth Zecchini surpassed the previous world record under the rules and rules CMAS, established by herself with -101 meters, made on September 2 of this year in the competition “6 ° DugonCup” held in Milazzo, Italy and that counted with the endorsement of the Italian Federation of Underwater Activities (FIPSAS) attached to the World Confederation. 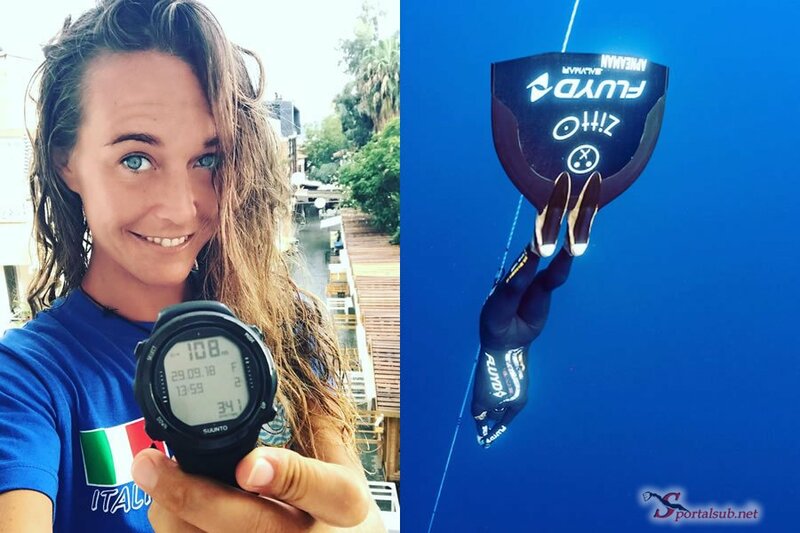 In the same way, as the same freediver wrote in his official account Instagram @alessia.zecchini, for the first time in history the world record of the CMAS is equated with the world record of the International Association for the Development of Apnea (AIDA). ) in the constant weight with fins model (monofin), since last July 26, 2018, Zecchini managed to establish the same -107 meters mark in the International Competition Vertical Blue 2018 in the Bahamas.